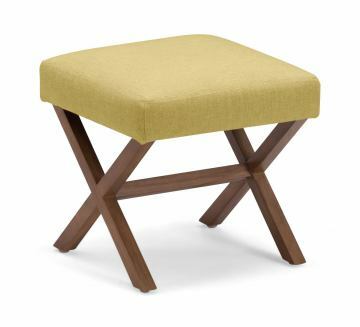 The Corinthian Stool is the perfect accent piece. Crossed wooden trestle legs bolster a simple yet colorful cushion. Comes in orange, mustard or aqua.